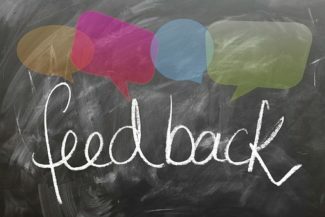 VICTORIA, BC – The Greater Victoria School District is looking for feedback from parents and guardians on important considerations as it reviews school catchment boundaries. A catchment boundary is the geographical area that determines which students are eligible to attend a specific school. Due to increasing enrolment and limited space, the District is considering revising catchment boundaries to create space in some of its schools. Some schools are full and enrolment projections indicate an additional 1,800 students may enroll in the District over the next 10 years. To accommodate the growing student population, the District must balance registration across the District with each school’s capacity. As part of the review, it is important that the District hears from as many parents and guardians as possible. A survey has been created to seek input from the community during phase one of the public consultation process. We invite all current and future parent and guardians to be a part of the conversation to help inform the process. Please note the survey closes Friday, November 30, 2018, at 4 p.m.
All input received will be shared with the Board of Education in December 2018 before the District draws new proposed catchment boundaries. The District will then host open houses and consult on the new proposed draft boundaries in early 2019. A summary of “What We Heard” outlining the process and the input collected throughout the process will be available for the public, the Committee and the Board’s review in the Spring of 2019. The Board of Education will determine the new catchment boundaries in the Spring of 2019. The new catchment boundaries will not be implemented until September 2020.